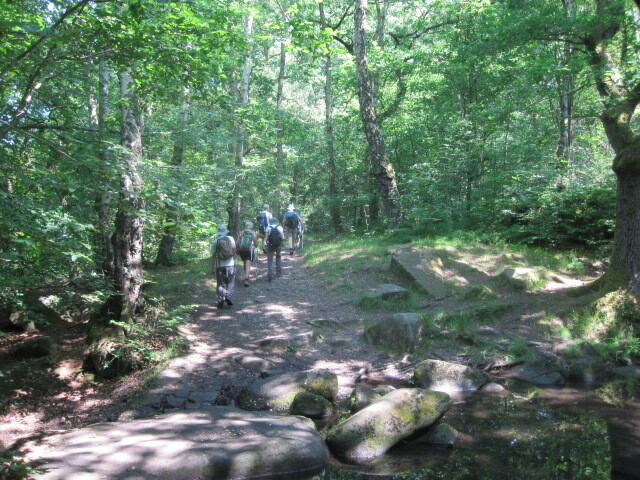 A 20 mile 2650 feet of ascent Hathersage Walk. We started in stunning weather and it stayed that way with 6 in the group (2 ladies and 4 men). From Hathersage Station at 09:00 prompt we walked via North Lees Hall, Stanage Edge, Foulstone Road, Derwent Edge, Cutthroat Bridge, onto Bamford Edge – with a return via the ‘Little John’ to the cars at 17:00. A wonderful walk with absolutely stunning views all around. Very disappointed with the ‘repairs’ to the path that leads in from High Tor to Back Tor, apparently visible from space. Not good, it spoils the experience. Although it started damp and drizzly, by the afternoon it had become dry and sunny. We left Edale village near the visitor centre and walked across the fields through Ollerbrook Booth and climbed behind Rowland Cote Youth Hostel. Near Clough farm we followed the bridleway down to the road and walked a short distance along before taking the path past Carr House to Edale End where we stopped to look in the National Trust information barn. After crossing the road and going under the railway line we followed another pleasant field path to Oaker Farm and the track to Townhead and Killhill bridge, another good stop for a break. Crossing the river Noe we went under the railway again and towards Aston before descending the fields to Hope station and the train home. An Eyam 13 mile circular which included Abney, Offerton, and Eyam Moor. Attended by 24 brave souls who ignored the weather forecast of perpetual rain and found the walk altogether pleasing, without too much rain to speak of. The rain came early out on Derwent Edge for the group of 23 ‘medium car’ walkers led by Ruth and Margaret – which included two Ramblers from Rotherham. It cleared relatively early however to give the great views the area offers. 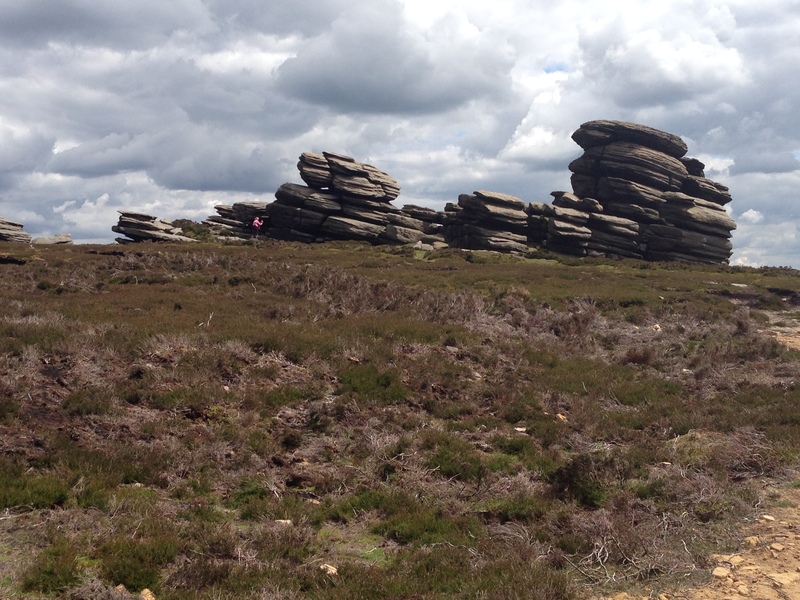 The walk had a theme – entitled gritstone tors and ancient rivers – and Ruth was able to give a bit of a welcome geology lesson on what turned out to be a walk of between eight and nine miles. A dull but dry morning turned into a wet afternoon for Anne’s Bakewell circular. A clockwise route took us through Over Haddon, but by the time the Magpie Mine near Sheldon was approached, the heavy showers had set in. 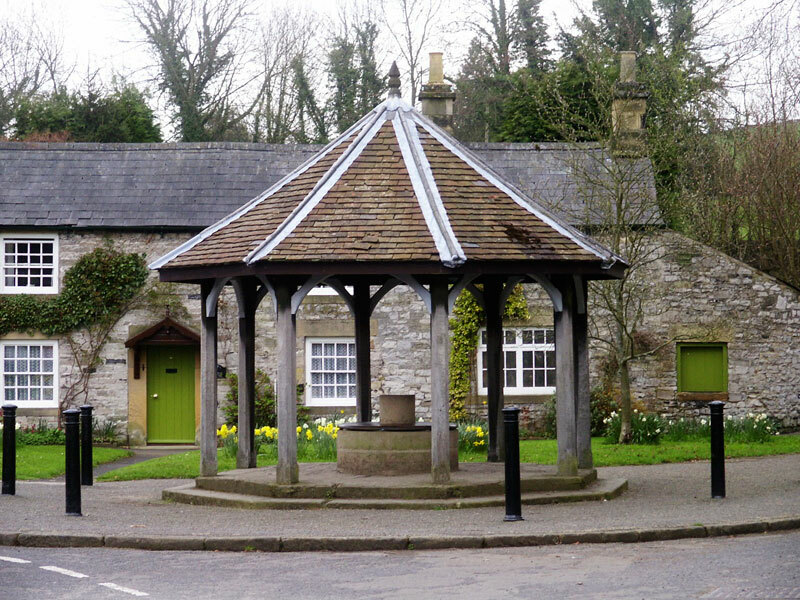 Lunch was taken under the shelter built over the parish pump in Ashford in the Water before a stroll back to Bakewell by the River Wye – in time for the 2:10 bus back to Chesterfield. 11 walkers enjoyed a 13 mile walk starting from Thorpe, passing through Okeover Park to reach Blore, where the group had the opportunity to look in the attractive church. Lunch was enjoyed with views across to Thorpe Cloud and Bunster Hill. A further descent and climb led to a path above Dovedale, a descent and a walk along the dale back to Thorpe. The sky was clear and the views fabulous. The July visually impaired walk attracted 15, including 6 with visual impairment and 3 guide dogs. 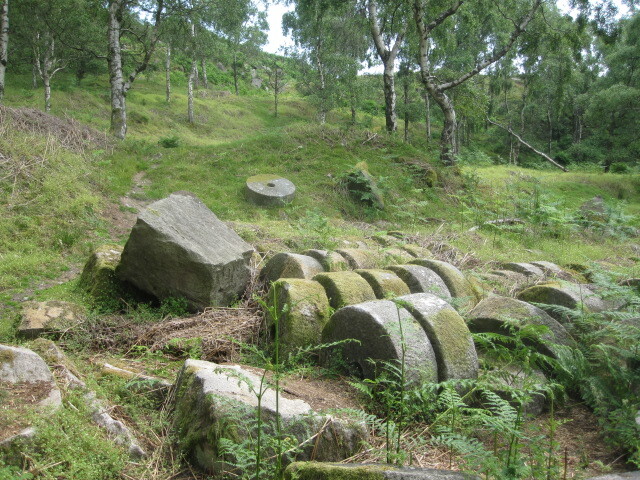 The start was at the car park above the quarry at Birchover, on the edge of Stanton Moor – home to many prehistoric features. From there there was a walk to the English Heritage ‘Nine Ladies’ Stone Circle – and a circular route of about 4.5 miles which included the Reform Tower commemorating Earl Grey’s Reform Act of 1832 and Hill Carr Barn, hosting a music night. Barbara and Ken were the leaders. 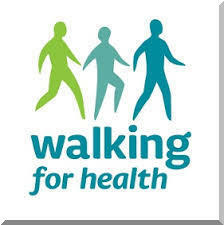 New volunteers are always welcome to assist on these walks. 20 walkers joined Dave and Ros on an 11 mile walk from Chelmorton in perfect walking conditions (bright sunshine cooled by a gentle wind). The route took in Priestcliffe, Millers Dale nature reserve, part of the Limestone Way, Wormhill and Wye Dale and there were plenty of opportunities for rest stops with views. A change from the Hope Valley line for the train walkers. Armed with the Derbyshire Wayfarer we caught the 9:01 train from Chesterfield to Derby and led by local resident, Jean, followed a route from Breadsall to Spondon, via Dale Abbey and Locko Park. Great walking weather. 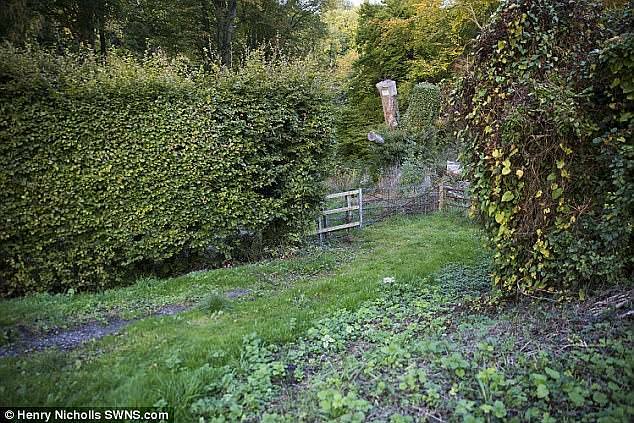 One for the ‘Big Pathwatch’ ? A strong turnout for the eight mile circular from Calton Lees in Chatsworth. 27 followed Kath and John from the car park through Chatsworth Park to Baslow, Bubnell, over the fields to Pilsley, on to Ball Cross and back into Chatsworth via Calton Pastures. The 12 mile Sunday walk from Hope, led by John H …. 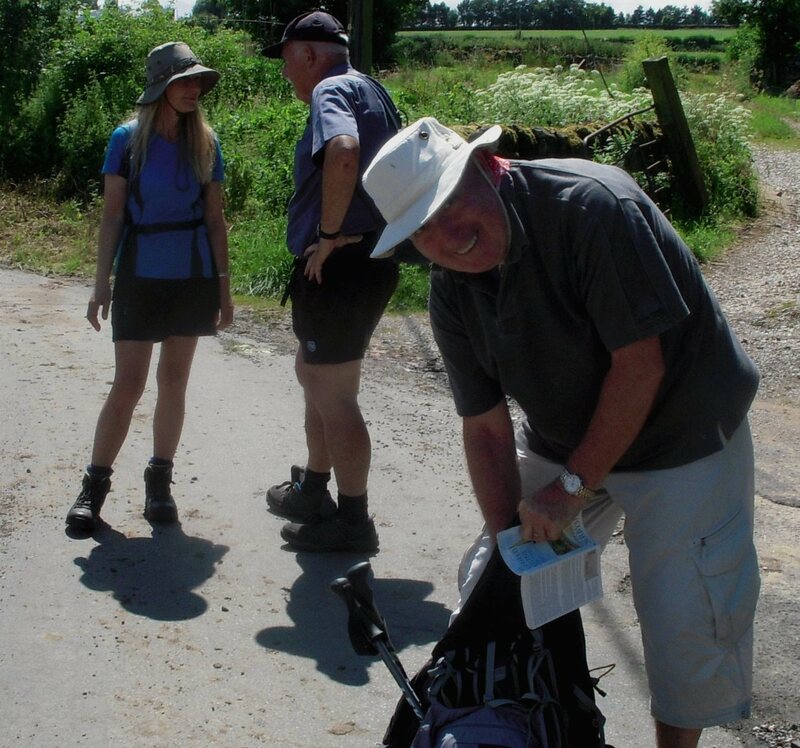 John reports on the latest Saturday long walk, led by Andrea …. The weather was fine and the walk started on time at Chelmorton. The group of nine comprised five ladies and four men – walking through Horseshoe Dale, Deep Dale to Wormhill and then on to Tideswell Dale, Priestcliffe, Monyash, Flagg, before returning to the start. We covered just over 20 miles in 7hrs and 20 minutes with 2,500 feet of ascent. We all felt the pace was excellent and celebrated the finish in the Church Inn. The shorter Saturday walk started from Crowden with eight people and a dog. The weather was good as we walked up to Black Hill and the views were spectacular. Lots of other people out, many doing the Pennine Way. A great time was had by all – and the tea and cake went down well after. Eight walkers set off by bus from Chesterfield for Buxton, via Tideswell, in sunshine – in the hope that the weather might stay fine and prove the forecasters wrong. Unfortunately Buxton lived up to its reputation and it was raining by the time we arrived. 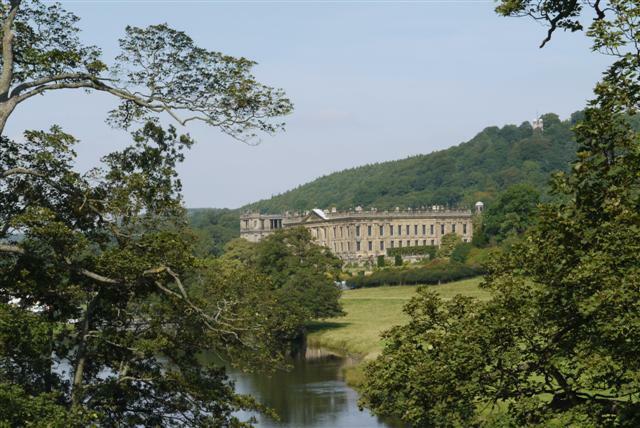 Nevertheless we set off and completed the ‘Ring of Trees’ – a 10 mile walk devised by Buxton Civic Society encircling the town. Despite the damp conditions we enjoyed views of Buxton from all angles and a good variety of terrain. As the weather was cool and damp and the group small, we made good progress and reached the shelter of Grin Low country park for a lunch stop – though none of the group was inclined to ‘Go Ape’. We continued our circular theme on the bus journey, returning via Bakewell and Matlock on a conveniently timed Trans Peak – so not even retracing our steps. A complete change from last Wednesday for the nine who ventured into Staffordshire today with John for a 13 mile trip from Gradbach. In miserable misty weather, waterproofs were donned but the weather consistently deteriorated and after roughly two hours it was decided not to continue up the Roaches – in view of the poor visibility. The walk was sadly aborted after six miles. 12 people out on the Sunday ‘long car’ walk, led by Rhona and Gavin. 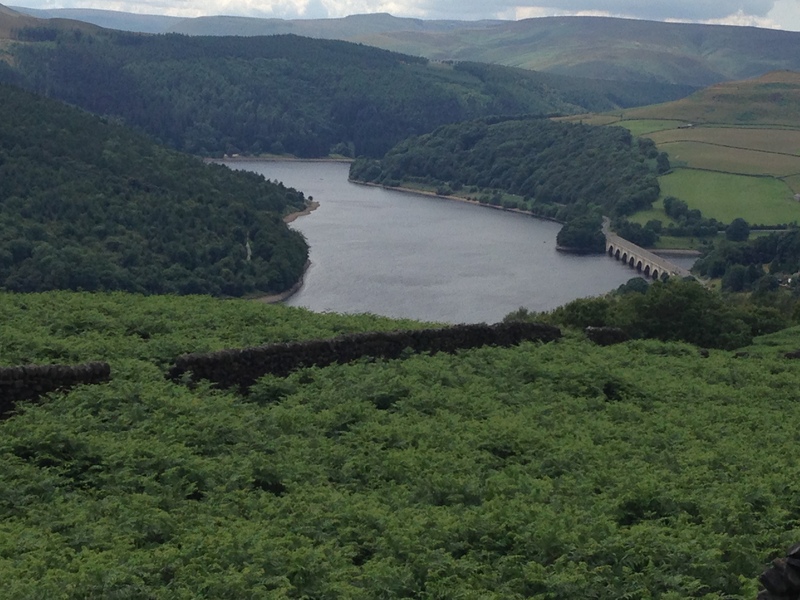 A start from Dennis Knoll and then over to Redmires Reservoir, Wyming Brook, the Rivelin Dams, and Headstone for lunch. 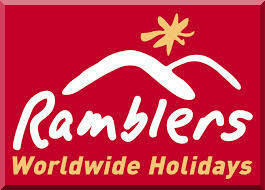 From here the route went via High Lad Ridge over Hallam Moor to High Neb and back to the start – some 10 miles in total. The weather was glorious, the dogs numerous, and the birds noisy. A great time had by all. The rain came later in the day. Today’s long Saturday walk was led by Stephen, based on the Four Towers Challenge. 23 miles on a warm, very clear day, beginning in Belper and taking in Stephenson’s Sighting Tower, Alport Height, Crich Stand, and Heage Windmill – returning to Belper approximately 8.5 hours later, including stops and ascending 2,500 feet in the process. A great day for the 5 walkers. The hottest July day on record, with Sheffield recording 33 degrees, obviously affected today’s number of walkers. Nevertheless Mike led 9 on to Stanage and Redmires, remembering the Sheffield ‘Pals’ who had trained there prior to being decimated on the Somme on 1 July 1916. A tough 9 mile walk in the hot conditions as Basil led 8 from Baslow to Hathersage, via Grindleford Station and Bole Hill Quarry.